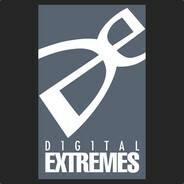 Steam Curator: Digital Extremes Ltd.
Unleash your Rage, Tenno! Pick up this pack full of Platinum, Credits, Rare Mods, Boosters and more. BONUS: Get the Orthos Polearm and Steam-Exclusive Orthos Onyx Skin for free! Are you a Master Thief? Stock up for some legendary larceny with this pack containing Platinum, Credits, Rare Mods, Boosters and more! BONUS: Get the Orthos Polearm and Steam-Exclusive Orthos Onyx Skin for free! Make sure you have the endurance to keep fighting until the bitter end. Give yourself a boost with Platinum, Credits, Boosters, Mods, and more! BONUS: Get the Orthos Polearm and Steam-Exclusive Orthos Onyx Skin for free! Bring your Warframe back to perfect Equilibrium. Rank up your play with Platinum, Credits, an Exilus Adapter, and Boosters, and more! BONUS: Get the Orthos Polearm and Steam-Exclusive Orthos Onyx Skin for free! The Warframe Starter Pack is the best way to begin your journey in Warframe with valuable items, an epic cosmetic Syandana, and platinum to customize your experience. Enhance your favorite Warframe with Orokin technology and customize your gameplay with exciting mods and cosmetics! Buying Minerva's Den will also get you Minerva's Den Remastered! For details on that version, click here! The Rock Map Pack is Now Available! Join the Resistance, stand united and fight for freedom against an overwhelming military force. Set approximately 10 years after the events of the original BioShock, the halls of Rapture once again echo with sins of the past. Along the Atlantic coastline, a monster has been snatching little girls and bringing them back to the undersea city of Rapture. Dark Sector thrusts players into the role of Hayden Tenno, a covert operative sent on a dangerous mission into Lasria, an Eastern European city on the brink of ruin that hides a deadly Cold War secret.